This is the text of a long abstract for a presentation given at the 15th biannual conference of the European Association of Museums for the History of Medical Sciences (EAMHMS), “Contemporary Medical Science and Technology as a Challenge for Museums” in Copenhagen on 16 September 2010. The original abstract included images; I have replaced them here with links to Flickr for convenience. The explosion of digital photography in the last ten years has had an enormous impact on the practice of taking pictures. Digital cameras have made possible the production of a vastly increased number of personal photographs while the internet has provided practically unbounded means of access and distribution through photo-sharing websites like Flickr. In 2010 Wellcome Collection set up a Flickr pool on the theme of ‘Medical London’ as an extension of our existing off/online Medical London project. In itself, this is no innovation: as Romeo and Waterson have noted, the Flickr pool is “a well-established museum outreach genre”. It is no accident that Flickr is the photo-sharing website of choice for cultural heritage institutions. Where Facebook situates photography in a social aspect and Google’s Picasa excels in desktop integration, Flickr, and Flickr users, emphasise the aesthetic content of photographs themselves. However, outreach is usually as far as museums’ Flickr projects go. Success is frequently measured by quantitative criteria (participation, entries) rather than any critical or curatorial measure. Although Galani and Moschovi contend that “contemporary amateur photographs as generated and published through social media applications have increasingly captured the curatorial imagination” this has so far mostly been limited to curators and exhibitors working in the area of photography itself. Though the “internet stew” of photo-sharing websites like Flickr may be exactly where “the museum’s curatorial function is sorely lacking” according to Fred Ritchin, few non-photographic museums seem to have considered in detail what they might take, examine or curate from Flickr itself. If photography has become pervasive, medicine always has been: a constant part of our lives both personally and socially. Photography might also have a therapeutic aspect: preserving the moment of life forever, where medicine ultimately fails. The Medical London pool, offering a theme both concrete and open, offers an opportunity to see where photography and medicine intersect. It is sufficiently local to attract what might be a community; there are enough potential subjects to avoid repetition. What follows is an attempt to use this pool to draw out some of the subjects, aesthetics and perspectives that might be of use to a medical museum in understanding and re-presenting everyday medicine. Six subject areas or possible approaches to the material are explored with examples. In preparing this paper I’ve taken into account both the legal aspects of licensing on Flickr (only photos appropriately licensed or for which specific permission was given are included here: URLs for complete galleries are given alongside the pictures). I’ve also considered intentionality by only including images whose creators placed them in the pool, which suggests that they considered (however minimally) that the picture has a medical aspect, and can be understood by others in a medical context. Through the Flickr pool we have access to images of objects which the museum does not possess. Pictures of hospital badges belonging to healthcare workers, medical instruments, charity boxes and large pieces of medical equipment have all been submitted to the pool. Where online we often consider a gallery of photographic images of objects to constitute meaningful access to our own collections, we might ask now whether it is possible to curate and present others’ images of objects. Geospatial coordinates are an increasingly common property of photographs. Whether applied using Flickr’s map tools, or added by a GPS-aware mobile device, many pictures in the Medical London pool include information about where they were taken. On the map below, each pink dot represents one of the images in the strip, plotted onto the place where it was taken. If embedded in a form accessible to a mobile device, the potential exists to turn the city itself into a museum of its own medical history: from every location we can access nearby significant buildings, objects and events. David Edwards documented his own bunion surgery in February 2007. As podiatric surgeons worked on his foot, a student podiatrist took pictures using Edwards’ camera. Here, the procedural becomes personal and while the foot remains the site of the operation, the subjectivity of the photography changes subtly: the pictures of the operation are authored by the patient. Medicine has a social dimension, and even socialised healthcare in Europe is not simply a static service in which medics provide care to patients. A restructuring of services can spark protests by both healthcare workers and the local community. Here, the Flickr pool helps to provide a record of the dynamics of a changing health service in London. Living in a multicultural city reminds us that ‘Western Medicine’ is no longer a primarily geographical category. The evidence of Chinese medicine, herbalism, homeopathy and other cures is everywhere in street photography, sometimes deliberately, sometimes accidentally. The ‘health food’ store is a sight as common as a pharmacy; while all cures might not be equal or even reputable, they all form a part of a medical landscape. The image of the hospital’s interior is familiar: wide corridors interrupted by fire doors; staff in uniform, patients in gowns and visitors in everyday dress; trolleys and other medical equipment. In the Flickr pool, through a combination of artists, healthcare workers, and ‘urban explorers’ investigating abandoned buildings, we unexpectedly discover a new aesthetic. The hospital, its spacious areas now bare, takes on an eerie feeling, like an empty diorama. Having seen its variety and considered its content, we might usefully ask in what ways the Medical London Flickr pool materially differs from a traditional photographic archive. Firstly, it is ongoing and open, offering a wide variety of subjects and modes, and few restrictions on submissions. Secondly, it is multiply authored, by both amateur and professional photographers. Thirdly, it can be collaboratively curated: galleries selected from it like the ones above can be made by anyone. Lastly, linked only by a strong but mutable idea, ‘Medical London’ photographs are open to constant reinterpretation by the photographers, the museum and others. As a nascent community it has yet to (and may never) develop any shared senses of photographic priorities. But the most important aspect of the pool is its capacity to offer us surprises: to see new subjects, aesthetics and understandings in what is offered to us. 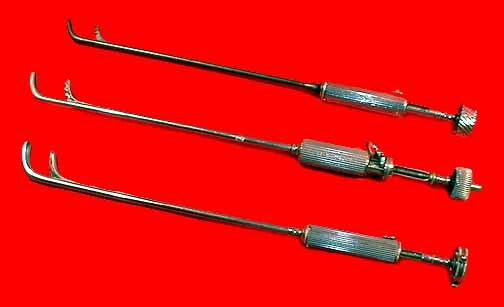 If we wish to re-present these surprises to our audiences, how might we integrate the medical Flickr pool into the medical museum itself? In one way we already have, simply by connecting its online content to our existing presence: we are already used to museum exhibitions and projects having many limbs. If we wished to physically integrate these images into the museum, we might install a screen that dynamically highlights recent additions to the pool, as the Denver Art Museum does. Or we might display the winners of a competition hosted by Flickr and integrate comments from Flickr into gallery interpretations, as the National Maritime Museum has. Flickr has already proved to be highly effective at attracting audience engagement with the subject matter and collections of the museum. The curatorial question for museums now is how to engage with what audiences have produced. For a medical museum in particular, the challenge is how to find fresh perspectives from the mass of available material that we could loosely describe as ‘everyday medicine’. The ultimate result, however, will not be something that the museum has acquired, but rather something that it has fostered and shared. I would like to thank all the individually credited Flickr users for permission to use their photos in this paper, whether granted personally or through the use of Creative Commons licences. On the matter of twitter, I consider myself a philosophical sceptic with an unfortunate personal compulsion; I feel roughly the way about ‘social media experts’ that Bill Hicks did about people who work in advertising, but this doesn’t mean I don’t also throw my stream of consciousness into the public void. 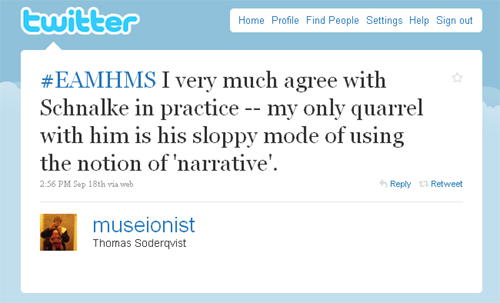 Tweeting through conferences is getting increasingly popular, and Thomas Söderqvist encouraged it at this week’s European Association of Museums of the History of Medical Science workshop. It was, I think, a qualified kind of success. On the negative side conference-tweeting tends to be personally distracting (and possibly insulting to a speaker forced to regard an audience gazing deep into their phones and laptops); susceptible to triteness and glib summation rather than reflective thought; and elitist: it excludes from a conversation those without the appropriate technology or ability to cope with distraction. On the positive side, it provides a kind of collective note-taking, accessible even to those not involved; it provides for an additional, multiplicitous and open conversation, not directed through a chair; and sometimes allows for people not present at the conference but connected to its participants, to join in the conversation and bring new information and perspectives to it. Despite the fact that only four of us tweeted throughout the conference, and that for half of it there was no wifi available, we did a not not bad job, and towards the end of the conference did indeed begin to get others chipping in, asking what ‘the problem of the medical museum’ was, and questioning our assertions about the situatedness of art. Thomas has posted a link to the tweets via twitter itself, but twitter’s long-term archive is reputedly flaky. For the record, here is something like a complete transcript [pdf] of all the tweets on #EAMHMS over the course of three days. They were far from the best thing about the workshop, but if you can read in tweets they give an interesting, if inconsistent, overview. For medical museums, whose collections are typically composed of evocative historical objects, developments in contemporary biomedicine offer a twofold challenge to collecting and exhibiting. The first challenge is the nature of contemporary biomedical equipment: large, expensive, and without immediately obvious function (think fMRI scanner). Where a display of surgeons’ tools can be both instructive and chilling, a collection of grey-box scanners and robotic surgical suites is likely to offer both historians and visitors less. The second challenge is more fundamental: medical investigation and treatment now operates beyond the limits of the visible, at the level of genes and proteins, a scale which it is hard to relate to our own bodies and lived experience. Even the beautifully-limned image of an SEMmed protein can’t offer the visceral thrill of corporeal recognition that a pickled heart in a jar does. That’s the ‘challenge’ that the EAMHMS met in Copenhagen, under the expert and provocative direction of Thomas Söderqvist, director of the Medical Museion, to discuss. Subjects were wide-ranging, from issues in object collection, through applications of new media, to artistic interventions. What follows isn’t a comprehensive overview, but rather a personal narrative and an account of what interested & inspired me (and also partly a simple aide-mémoire) — I haven’t done justice to, or in some cases even mentioned, some fine presentations and papers here. The conference was filmed by Medical Museion staff, and selected presentations should make their way online sometime; check Biomedicine on Display, the MM’s English-language research blog. The conference happened in the form of a workshop, with long abstracts circulated in advance, and short 8-minute presentations (promptly terminated with the aid of a 50Kr kitchen timer) clustered into themes. Proper understanding and discussion of the presentations depended on participants having read the abstracts in advance, and the majority of attendees were also presenters: there was a definite atmosphere of sharing and learning rather than presentation and absorption. Thursday’s proceedings began in the rather dramatic (but uncomfortable) environment of the Medical Museion’s operating theatre, built in the 1780s for the building’s function as the Danish Royal Academy of Surgeons (James Edmondson’s Dittrick blog post on the Museum is a good visual tour of the environment). Alas, speakers were presenting not the cavities of executed criminals’ corpses, but mostly powerpoint slides. Kim Sawchuck opened the proceedings with a discussion of ‘biotourism’, taking in the twentieth century’s fascination with the macro and the micro (one of her slides was a fabulous juxtaposition of two strikingly similar Time magazine covers, one featuring a telescope, the other a microscope), and the Franklin Institute’s walk-through heart. Kerstin Hulter Åsberg, Wendy Atkinson and Robert Martensen then presented plans for new museums and displays in Uppsala, Lyon and at the National Institutes of Health respectively. My own session, in which I was paired with Ramunas Kondratas, late of the Smithsonian and now establishing a national medical museum in Vilnius, explored the idea of enhancing our understanding with new media. Ramunas presented footage from a project documenting the manufacture of medical instruments, and in particular the manufacturing history of the ultracentrifuge in the United States. It was interesting to see in Ramunas’ footage of a factory at work the role of blue collar workers explaining how instruments are made, rather than expert scientists explaining what they do. In my presentation I proposed that contemporary medicine could be understood through the photos that people take and share of objects, spaces, healthcare-related protests, and their own medical history (a post of my own abstract will follow). Joanna Ebenstein, of Morbid Anatomy, and Brooklyn’s Observatory, finished up the first day’s proceedings by suggesting that the tradition of the wunderkammer, or cabinet of curiosities could offer a better path to engagement than education-driven science centres; this sparked some debate about agendas vs mystification, and whether the Wellcome Collection’s ‘Skin’ exhibition could could have any scientific or moral coherence if it ignored the subject of race. Friday opened in the rather more comfortable surroundings of the Danish Museum of Art and Design (housed, fittingly, in a former hospital). Judy Chelnick of the Smithsonian discussed the challenges of collecting contemporary medical objects when storage space is at a premium: all new acquisitions over a certain size and value have to pass through committee approval. John Durant’s presentation revolved around the relationship between engagement-focused displays and collecting priorities in the biomedical cluster around Boston and MIT, where developmental medical equipment quickly bites the dust in a forward-looking research environment. Moving from collections to visitors, Stella Mason discussed visitor surveys which reveal that a larger-than-expected number of visitors to medical museums have medical connections, suggesting that we might reach out further to the ‘casual visitor’. Alex Tyrell presented the results of ‘co-curating’ a part of the Science Museum’s new ‘Who Am I?’ galleries with a group of London teenagers. The process involved a lot of questioning of gallery assumptions like the length and seriousness of interpretation labels. There was some scepticism about non-expert curation, and the ability of teenagers to tell us anything new about what we are looking at; nevertheless it seems clear that the exclusive preserve of professional curators over the domain of displays cannot be indefinitely sustained. A lunchtime tour backstage took us to the undisplayed collections, and a personal impromptu handling of an antique lithoclast, a medical-historical object which evokes precisely that archetypal feeling of medical museums: a physical shudder at the very thought of the procedure embodied in the instrument (penetration of the body’s intimate orifices — without anaesthetic!) combined with gratitude and appreciation for the ongoing development of medicine that spares us such pain. And then art. Nina Czegledy presented the case for the display of illustrations as objects, irreducible to reproductions, and in particular the illustrations in Grant’s Atlas of Anatomy, carbon dust halftones produced by illustrators Dorothy Chubb and Nancy Joy. These are problematic to display, being neither old enough to be considered properly ‘historical’ illustrations, nor ‘contemporary’ art; nevertheless they powerfully demonstrate the continuing power and utility of medical illustration well into the era of photography. Lucy Lyons presented drawing in another aspect: as an examination of the unknown, a way of visually understanding objects beyond looking at them, using the humble pencil as an investigative tool. She runs drawing workshops at the Medical Museion with staff and other participants, concentrating not on producing a drawing as an output, but on greater understanding through the practice and process of drawing. Norwegian Museum for Science, Technology and Medicine, which included not only images taken at tiny resolutions but also the ever-growing machines necessary to create them. Thomas Söderqvist and Wellcome Collection’s Ken Arnold ended the day with a scattergun presentation of their new Dogme manifesto for STEM museums, borrowing the principal of fidelity from the local Dogme 95 filmmaking movement. Banishing artificial light from displays, never talking down to children and excluding the internet from exhibitions are all items on the manifesto. Importantly, in the context of contemporary biomedicine, the manifesto also recommends working closely with researchers and scientists (presenting research practice rather than disseminating results), while still embracing showbusiness and playfulness (‘the wow of chastity’). Saturday morning began with a discussion of the problem of foetal display. Sniff Nexo’s presentation highlighted the transparency and invisibility of the female body when we look at the foetus, either in a glass jar or in modern ‘vanity’ ultrasound scanning: we see the baby but not its mother. 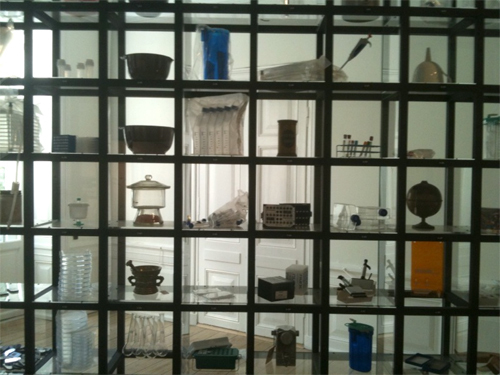 Suzanne Anker has worked with redisplaying fetal specimens, including in the context of her show The Glass Veil at the Berliner Medizinhistorisches Museum der Charité. There was some concern about not only the interpretation, but also the reinterpretation of images of medical specimens (the Hunterian Museum, for instance, doesn’t allow public photography of its specimens). I then had a couple of epiphanies in quick succession. Nurin Veis’ presentation on telling the story of the cochlear implant (also a story of Australian national pride) raised again the question of black box technology, objects whose purpose and function is obscured in their similarity. But looking at various bits of electronics, circuit board and their containers it seemed obvious that all objects have an aesthetic and style; it’s just often hard to see this in objects that are temporally close to us. Yves Thomas’ presentation on the use of multimedia only seemed to emphasise for me that perhaps we should not be using multimedia as a substitute for objects, but as another means of investigating and explaining them. Adam Bencard followed up at the other end of the spectrum of the invisible, suggesting that there are subtle but real relationships between our molecular existence and our lived experience; and that indeed a shift in medical emphasis from code-oriented genomics to chemically-oriented proteomics carried a corresponding shift back to our understanding of ourselves as physically constituted, if not quite the same nineteenth century bank of organs (for me personally a new way into bioscience beyond the neo-Calvinism of genetic prescription). He offered examples of scientists who described proteins with highly physical gestures, and the protein-folding game fold.it, a distributed science project that relies on humans to solve spatial problems which computers can’t. He also suggested that flat ontology might offer a key to our understanding of ourselves not as determined by a chain of genes and proteins but as material beings from micro to macro. Aesthetic theory finally caught up with us on Saturday afternoon. Roger Cooter and Claudia Stein of the Wellcome Trust Centre for the History of Medicine presented a critique of Museum für Kunst und Gewerbe Hamburg’s exhibition of AIDS posters, arguing that aesthetic values in the presentation of the totality of an ‘art’ exhibition and collection undermined the understanding of political currents and differences at work in the ‘global’ struggle against AIDS. Personally, I found the double-pronged nature of their theoretical assault problematic. Exhibition-making is of course a political process like any other, and stands to be critiqued like any other practice: culture is the global domain of cultural studies. However, if political understanding is needed in the selection and arrangement of material (something I self-consciously tried to achieve in my own institution’s selection of AIDS posters, exposing conflict between patients and drug companies, and tracing connections with the protest tradition of 1968) then the practicalities of exhibition-making have to be addressed, and a retreat into the academic domain of super-critique is not an acceptable substitute. Artist Karen Ingham presented some of her work, which often relates to existing medical collections and displays. Narrative Remains, a project in collaboration with the Hunterian, gave voice to bottled surgical specimens, placing the narratives between the objects and the viewer in a number of ways, including on display cases, and in a 12-minute moving image work. Ingham stressed the importance of collaboration rather than commission in her work: she does not make pieces that travel from gallery to gallery, but site-specific works related to particular collections. Thomas Schnalke closed the workshop with a return to the opening suggestion that all our museum games might be at an end. His answer, put into practice at Berliner Medizinhistorisches Museum, is artists’ interventions. Using the museum space to display work that makes connections between existing object collections and contemporary biomedicine offers new ways for audiences to make connections with biomedicine and also for artists to work with science and scientists. A challenge met is not yet a problem solved. Nevertheless, the people who gathered in Copenhagen for three days to address these issues are as creative and perceptive a bunch as any that you could hope to meet it, and the ideas developed there are, for me, excellent frameworks for ongoing thought.